How much does it cost to travel to Los Angeles? How much money will you need in Los Angeles? $190 is the average daily price for traveling in Los Angeles. The average price of food for one day is $35. The average price of a hotel for a couple is $222. Additional pricing is in the table below. These average travel prices have been collected from other travelers to help you plan your own travel budget. How expensive is Los Angeles? How much money do I need for Los Angeles? Los Angeles, California is probably one of the most well known cities in the United States. It is the second most populated metro area in the country with more than 17 million people. The city's diversity is wide reaching, giving it a character that is unique from any other place in the country. LA has many world famous sights and neighborhoods including Hollywood, Beverly Hills, Rodeo Drive, and Santa Monica, but there is really so much more to this city. The city sits right up against the Pacific Ocean and is met by dramatic mountain ranges on the inland side. The climate is mild and pleasant. It is sunny throughout the year and temperatures rarely drop below 45 degrees Fahrenheit. They also rarely climb above 90 degrees Fahrenheit. There are many ways to experience a trip to Los Angeles. Some people come to the city for the celebrity sightings, others to shop, and many come for the beaches or to explore the diversity of neighborhoods which offer unique cuisine and culture. Most people make a trip to Beverly Hills and walk down Rodeo Drive during their time in the city. Catching a glimpse of the famous Hollywood sign is a goal of many visitors, too. There are also countless museums and parks around town. If you are short on time, prioritize your goals and plan an itinerary that focuses on your specific interests in the city. There really is something for everyone. Being a large city, L.A. has plenty of museums. From art and photography to science and history, the city has something for everyone. 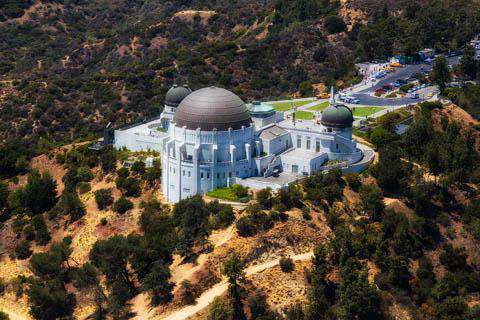 Check out this great guide to the best museums in Los Angeles. Within the city of Los Angeles there are a variety of diverse and interesting districts. The Downtown, or central business district is where you will find the Grand Avenue cultural corridor. Eastside is the eclectic area that is north of the downtown region. The Harbor Area has the largest sea port in the country. This is also where you can catch a ferry to Catalina Island. Hollywood is probably the most famous district in the city. This was the home of many movie studios and film productions. San Fernando Valley is a suburban area to the north. The South Central district was the primary location of the Rodney King riots and is still known for gang violence. Westside is a wealthier area between the downtown and the ocean. Wilshire is where you will find the Miracle Mile District, the Farmer's Market, and the Grove shopping areas, among other famous sights. There are no shortage of clubs and bars throughout LA where you can see and be seen. There are also plenty of gimmicky, although interesting restaurants to check out. Concerts, events and festivals within the city are common, and you're likely to stumble into some activity while you're wandering around town. Professional sporting events are also popular, with teams like the Dodgers, Lakers, Clippers, Kings, and Sparks attracting crowds of locals and tourists alike. There is a thriving restaurant scene in Los Angeles. The cities diversity and vast size mean that there is almost any type of cuisine available somewhere around town. Inexpensive, authentic, and healthy restaurants are plentiful, but for the best options, do some research in advance and find out what places are recommended by the locals. Like many cities in the US, food trucks are gaining momentum throughout LA. Gourmet food trucks, in particular, are becoming quite popular. The food is high quality, well prepared, and not as affordable as you might expect. Still, it's worth trying a few dishes from local food trucks. If you want to prepare your own meals there are plenty of grocery store chains around town. Given the high number of local, cheap eateries, this isn't always the best option and you'll likely enjoy your meal more if you venture out to a hole in the wall restaurant. Traveling within Los Angeles is notoriously challenging. Traffic is horrific and you're likely to get lost at least a couple of times. The public transportation system is very much lacking, but if you're motivated and patient, you can make it work. Otherwise, you're advised to rent a car and try your hand at navigating the city on your own. You're likely to see so much more and enjoy you trip more if you have the flexibility of traveling with your own vehicle. If you do decide to rely on public transit then you will likely experience the cities extensive bus system. There are some routes that travel every ten or fifteen minutes, but many run every half hour or even as rarely as every 90 minutes. Bus stops aren't always conveniently located as well, and you may find yourself walking a mile or more to reach your destination.